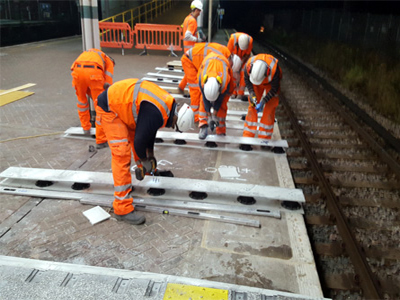 As an RISQS approved rail contractor, Hammond ECS Ltd cover a range of civil engineering and maintenance services to the rail infrastructure. 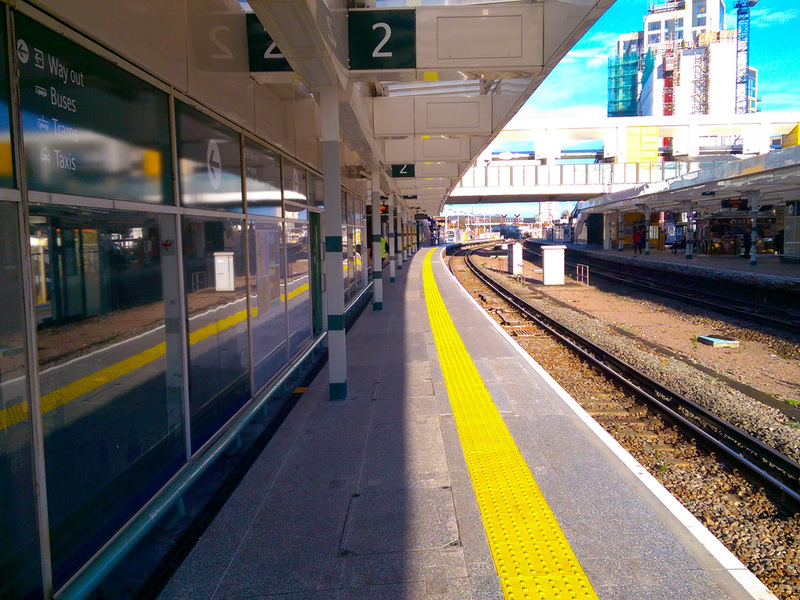 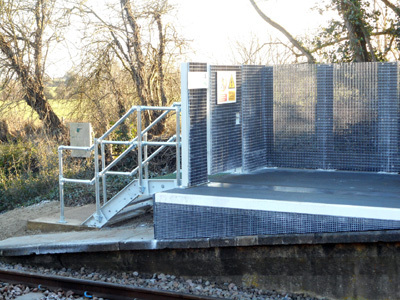 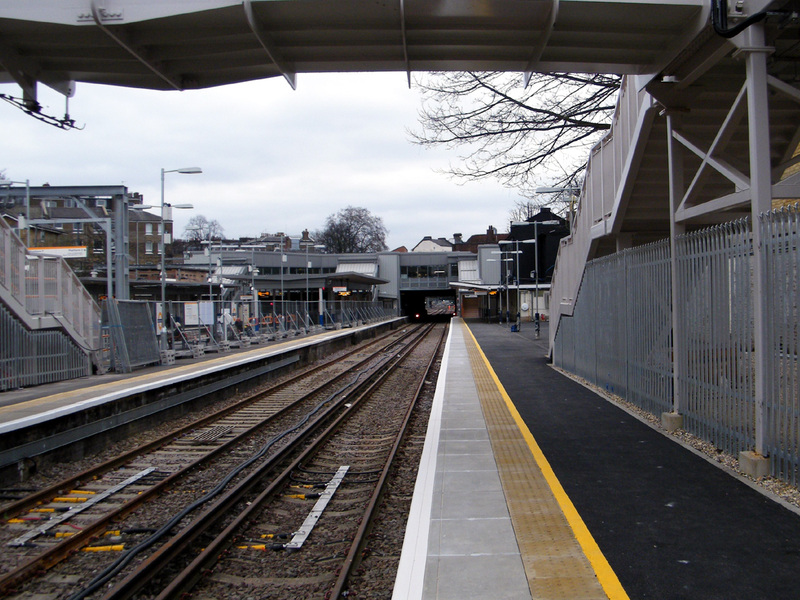 After 15 years working in the Rail Industry has allowed the company to build our technical expertise whilst developing and encouraging other innovative ideas such as adjustable FRP platform systems and driver walkways. 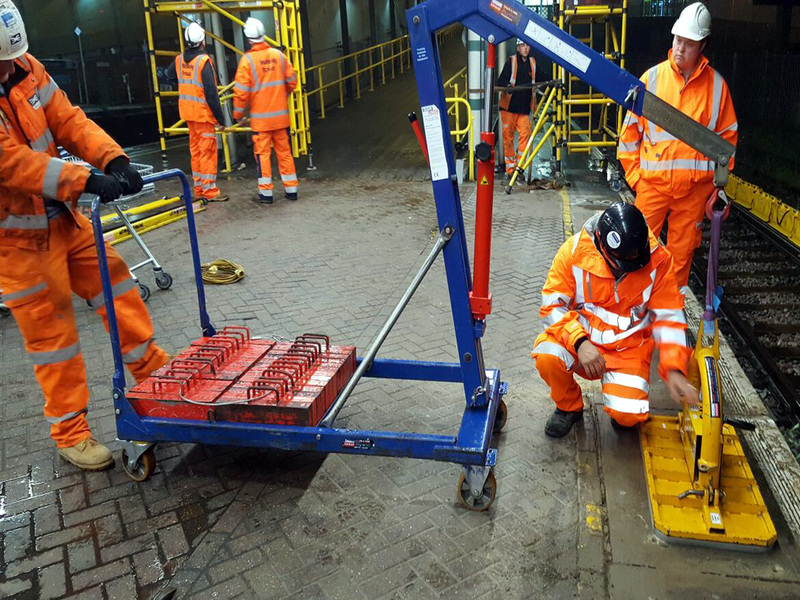 Hammond ECS Ltd has a competent and skilled workforce enabling us to deliver a high standard on our project work to clients such as Network Rail, Abellio Greater Anglia. 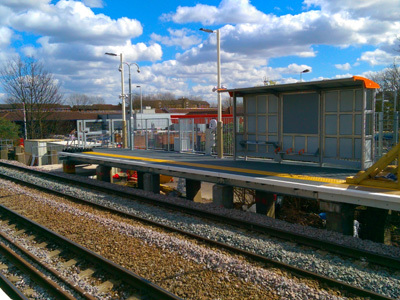 Recent development of the MountbridgeTM Patent No 2515519 platform system has further established Hammond within the rail industry, whilst meeting the needs of passengers using the rail infrastructure on a daily basis. 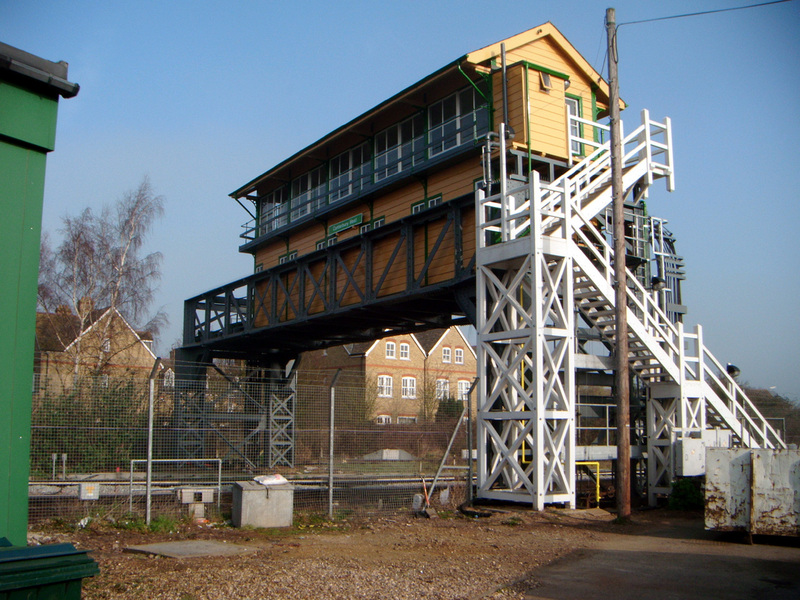 Hammond ECS Ltd Mountbridge TM Patent no. 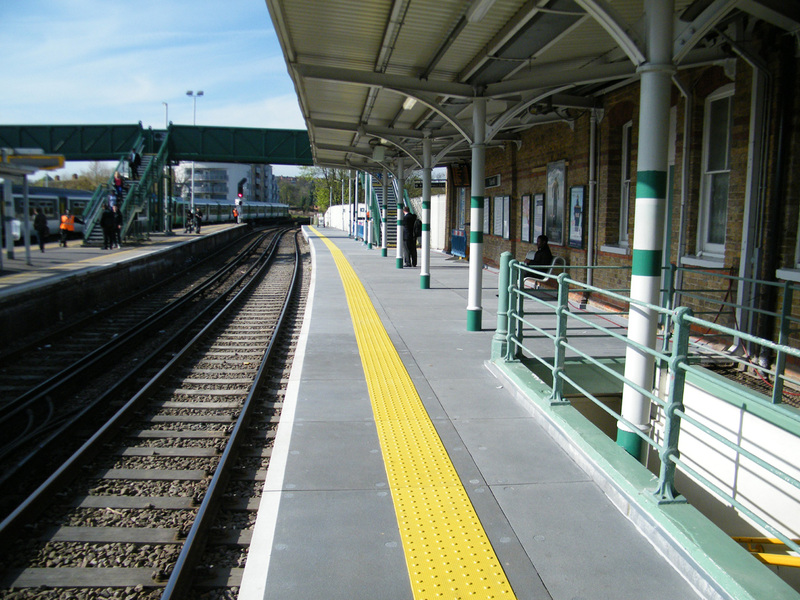 2515519 platform system has been developed to resolve issues related to passenger safety. 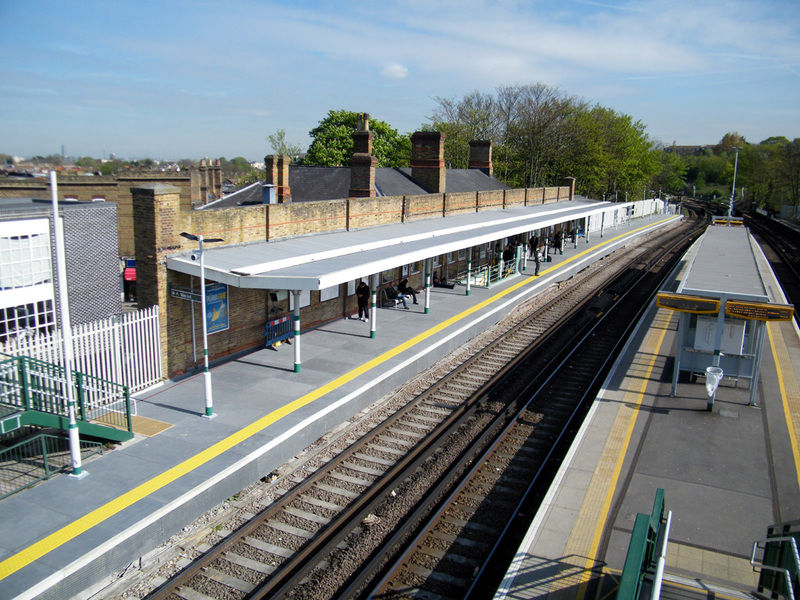 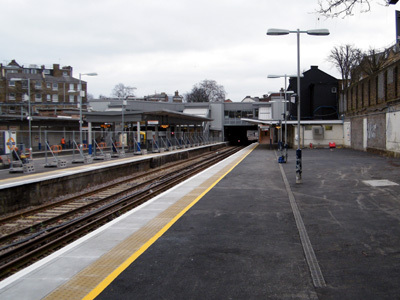 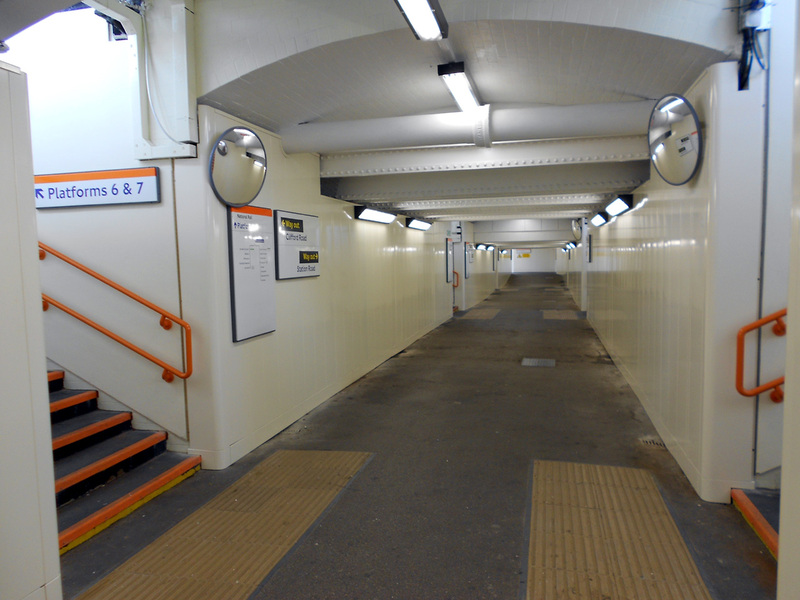 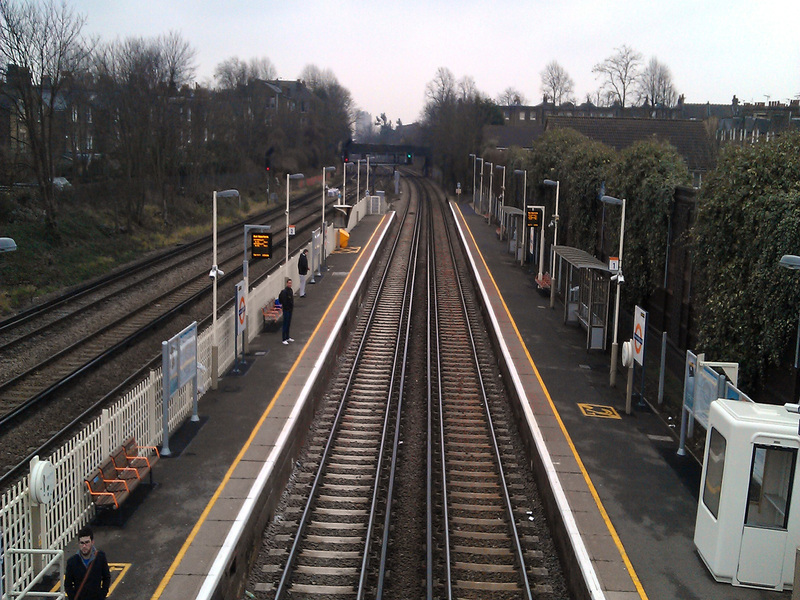 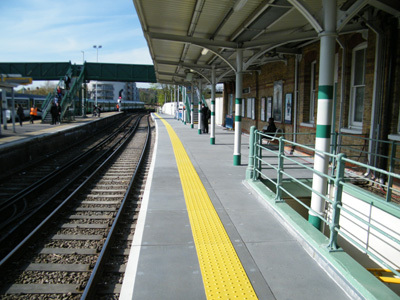 Traditional platform refurbishment necessitates the removal of existing materials and subsequent replacement with similar materials. 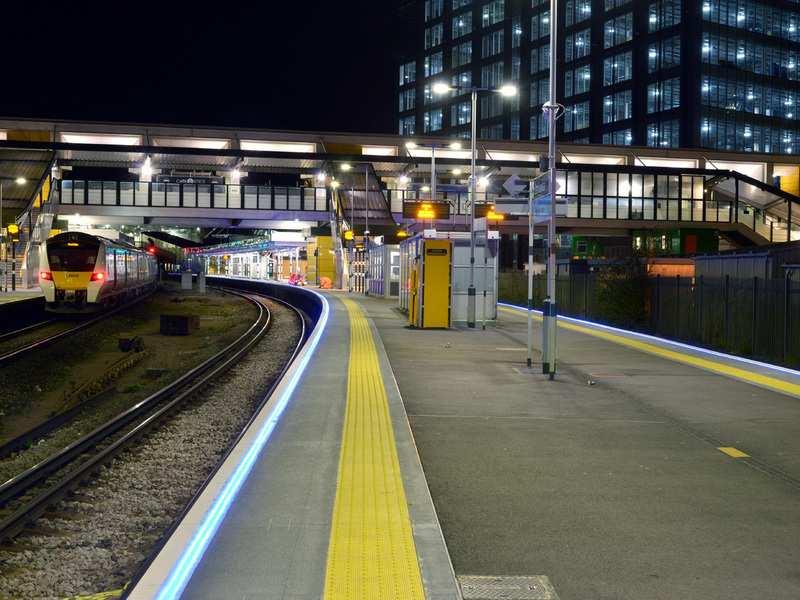 Due to passenger demand on the rail infrastructure we understand platform’s may need to be extended to suit longer trains. 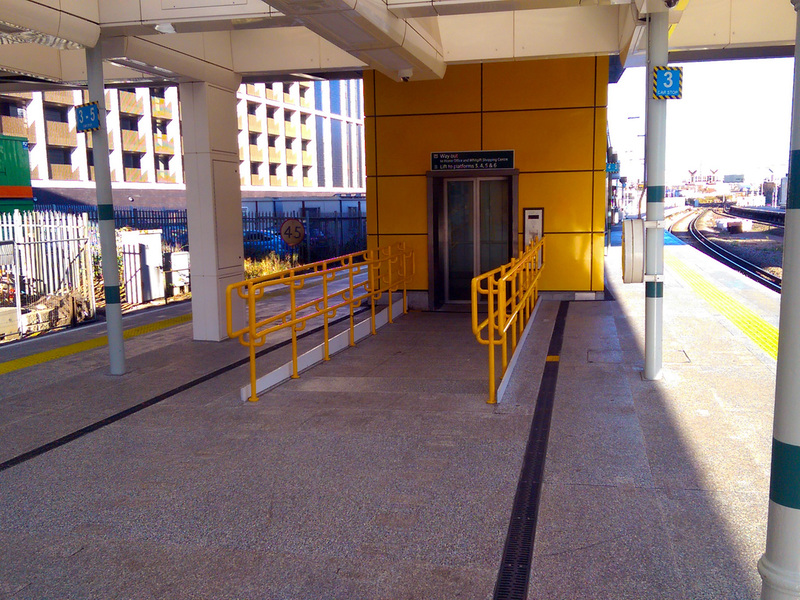 Dilapidated subways and walkways are refurbished to improve aesthetics and ensure compliance with disability discrimination act. 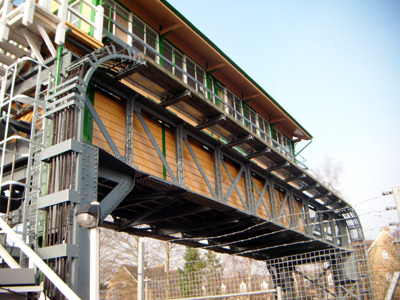 Our experience of structural maintenance has allowed us to further expand our portfolio of existing structure upgrades. 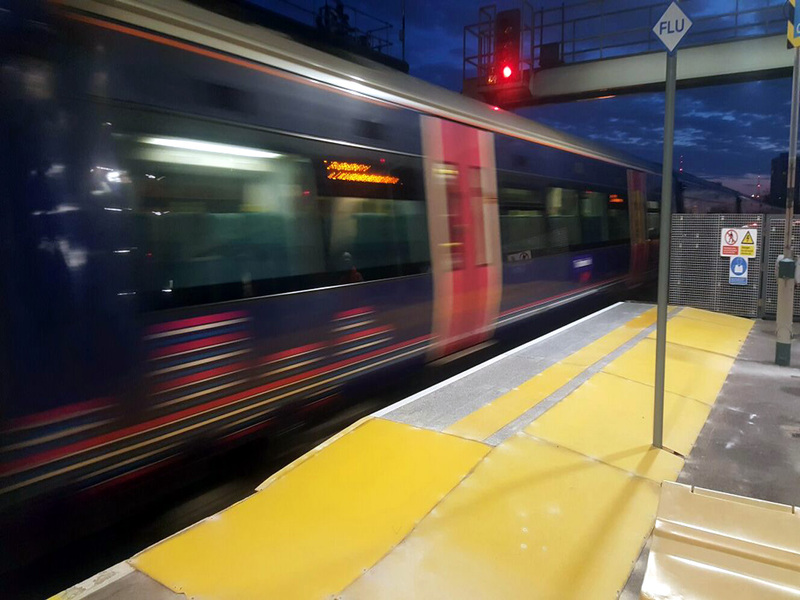 Hammond ECS Ltd has a wealth of expertise in the application of Fibre Reinforced Polymer composites within rail platforms. 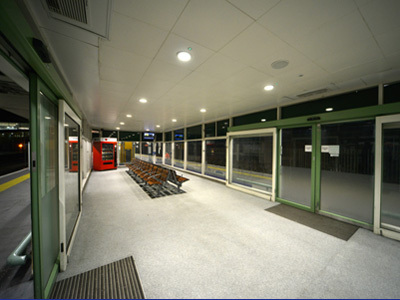 We are a company that accommodates client requirements and offer a full design and construction facilities. 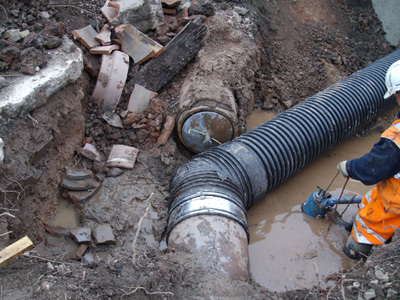 Our portfolio of drainage works is extensive, and Hammond ECS Ltd understand the importance of maintaining the infrastructure operational always. 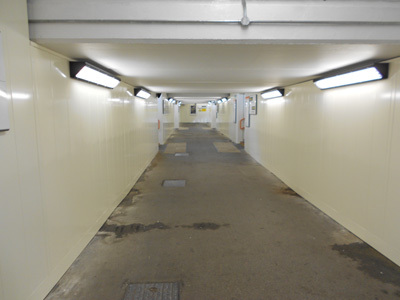 Time-lapse video installation of the Mountbridge TM Patent no. 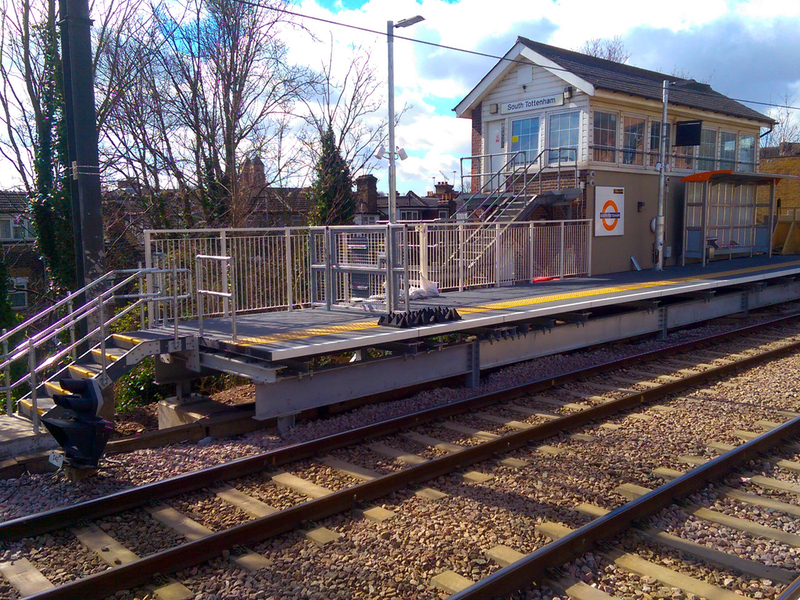 2515519 raised platform system.